Here are some of the finest hand-picked beaches from both mainland Portugal and the Islands Madeira and the Azores. The natural beauty and the gorgeous natural architecture are among those reasons that are sufficient to get you on a road trip across the coastline of Portugal. Read on to discover some of the best beaches you can visit. This beach is famous for two main things: its rocky cliffs and pristine white sands. In fact, due to its close proximity with Algarve, many visitors throng to the beach whenever they visit Algarve. A colourful combination consisting of yellow, white and ochre borders the green-blue waters of the Atlantic Ocean. The beach can be accessed by steps that guide to a beautiful panoramic view including that of the fortress made of stone that extends out to the sea. Don’t forget to count the sediment rings before diving into the Atlantic’s warm waters. Take a ride on a boat to appreciate the crevices and arches surrounding this haven. When a sandy beach extends for several miles, the only problem is deciding which spot to choose to take a dip. Surprisingly, this beach is only an hour away from Lisbon. Located at the centre of the coast of Alentejo, nature is unspoiled here. The cafés line the beach and it features some of the most well-designed hotels and premium villas. This beach is a favorite of many famous stars such as Nicolas Sarkozy and Carla Bruni. The 200 steps to Paradise are really worth it. Praia do Camilo has beaches coves in succession, and they are connected throughout by arches that have been carved by the forces of nature. Rocky cliffs have prevented people from settling on the beach and thus have helped to keep the natural beauty intact. Regardless of whether you want to explore the seabed or just take a dip, you can head to Lagos afterwards to savour some delicious cuisine. The beach is famous for its relatively rugged topography and is among the highlights of the Algarve region. It should be noted that his region is prone to sudden fogs and gusty sea breezes that can have a wonderful cooling effect to beat off the summer heat. Wind is the dominant force of nature at Guincho and this is what makes it popular among surfers of all kinds. This beach has also managed to maintain its natural beauty; however, this beach can be reached by various modes of transport including a bus, car or a bike. A bike is the preferred method of many tourists because it allows you to experience the nature at a more personal level. Santa Maria Island in the Azores is known for its golden and white beaches. The bright, soft sand of this beach makes it stand out from numerous other beaches on the Island. 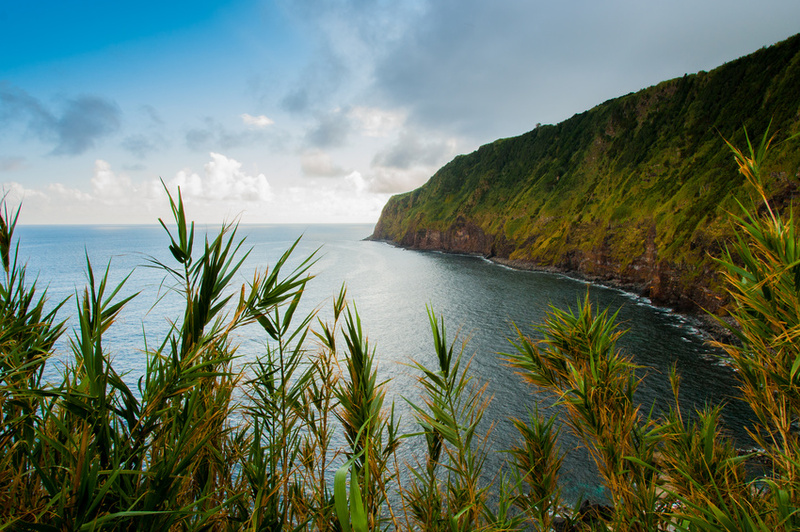 Historically, this Island was discovered in 1427 and was the very first Island to be found in the Azores. For those visiting the Azores, this should be the first island you should step on. 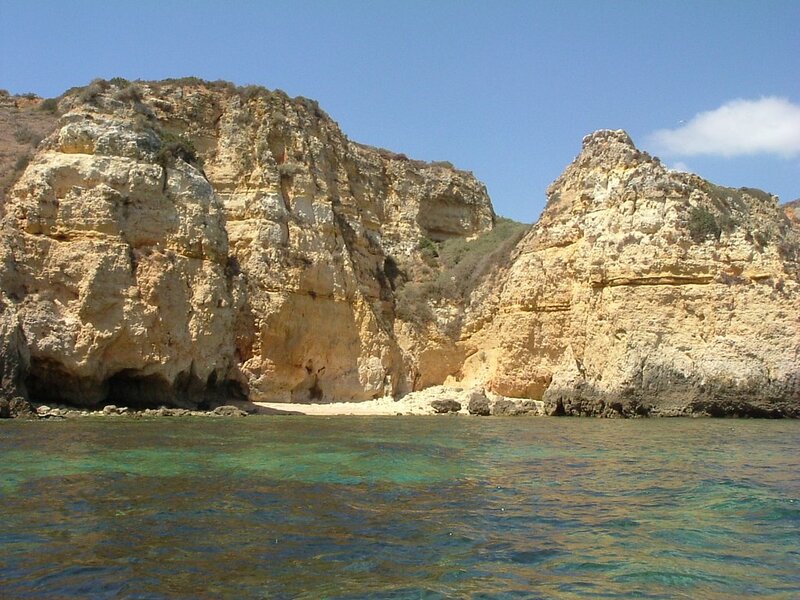 This beach is located in the natural reserve and is renowned for having clear waters. The conditions at the beach make it ideal for playing all kinds of water sports. It is recommended that you spend at least a day at the beach to build sand castles and have lots of fun with your family. If you plan to stay overnight, you can get a place close by if you’re lucky enough. The Porto Santo Island is located northwest of Madeira Islands from where a panoramic view of the Atlantic Ocean can be enjoyed. The beach is long; it starts at Vila Baleira and goes on till Ponta da Calheta. Rated as being among the most gorgeous beaches in the whole of Portugal, this is a place that must not be missed, especially by those who love the sun and the sand. The waters that touch this beach are gorgeous blue and refreshing. However, compared to the mountainous Madeira Island where rain is common, the climate on Porto Santo Island is dry – excellent for those who want nothing but sun and sand. 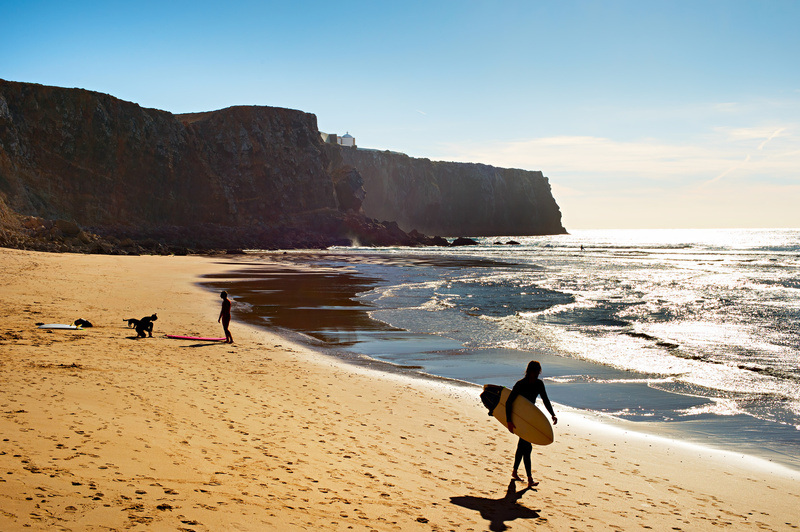 It is positioned between the peaks of Castelo and Ana Ferreira – a 9-km heaven featuring the finest sand and blue waters. The colossal attractions and impressive dimensions are the key aspects of Santa Cruz beach. The long strips of sand make this place a wonderful spot for experiencing the beauty of the Atlantic to its fullest. Stunning gorges protect the beach and make it ideal for surfers. It also features cliffs as high as 30 metres and having an arch within them – an excellent place to sit and watch the beautiful sunset. 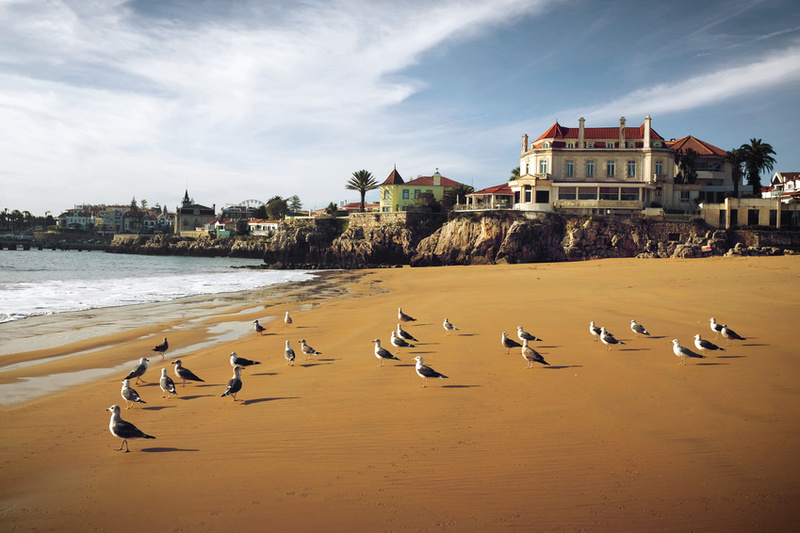 This resort is counted among the busiest of beaches in Portugal, mainly because of what it has to offer. The waves aren’t exactly too inviting for swimmers, but as previously said, surfers are at an advantage here. Nonetheless, the rock structures carved by the sea offer enough beauty that can be enjoyed by many. High walls protect this beach and make it among the most scenic in the whole of Portugal. It is a beach that is often photographed and is highly regarded in Portugal. The overhanging cliffs add to the beauty of this beach and invites aswell as delights the majority of city inhabitants. It borders a town that can be explored once you have enjoyed sun bathing and dipping into the warm waters. The place is so intriguing, that it often seems that it can be used as a scenery worthy-enough of being in a movie. The slopes around the beach of Foz do-Arelho are brimming with beautiful villas and impressive houses. Over the period of several decades, the sea has carved an exclusive natural landscape in the saltwater lagoon of Obidos. The mighty Atlantic Ocean rushes inland onto the golden sand and merges seamlessly into the lagoon. Those who love water sports will find this place most intriguing as the waves have great momentum, particularly for surfers. Others can simply sit back, relax and enjoy the beautiful coastal landscape to unwind. Those people who want to get to the beach by road are recommended to follow a road connecting this beach to Sao Martinho so that they can enjoy stunning views of cliffs along the way. Ochre shades of the boulders that are rounded and fine-golden sand are the highlights of the Praia do Castelejo in Sagres. The dark blue colours of Atlantic waters are a great contrast and add beauty to the coastline. Accessing this beach can be a little rough, however it is truly worth the effort because the beach is mostly sparsely populated with hundreds of metres of gap between people, allowing people to enjoy the tranquility with loved ones. It is extremely popular among surfers and some even come here to start off a water sports career. If you do not wish to do this, the mesmerising sunset can be sufficient to unwind you.